Enjoy looking at pretty women and grabbing huge wins in Shanghai Beauty online slot game. 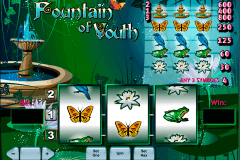 This attractive 5-reel, 9-payline video slot is the Microgaming release. Feel the relaxing atmosphere of the Far East and benefit from the smooth gameplay. The top prize is 2,500-coin jackpot. Orient women are very beautiful and it’s the well-known fact. Why don’t we create a slot dedicated to them, Microgaming casino slots provider had thought and released the high-quality product. There are two special symbols in the game and the gameplay isn’t very complicated. The Logo image plays the role of the Wild symbol. This useful icon will help you to complete many winning combinations. Moreover, the 2x multiplier is applied to the Logo Wild symbol. Thus, your combos with the Wilds will be subjected to the 2x multiplier. The Green Box symbol will attract the attention of many casino slots fans. The Green Box is the special Scatter icon. 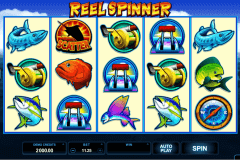 If you manage to collect at least 3 Green Box Scatters, you’ll start the free spins feature. You’ll be glad to trigger the bonus play with 15 free spins and the 3x multiplier of every win. Online gamblers should know the feature could be prolonged after the appearance of 3+ Green Box Scatters on the reels. The nice choice of colors, the clear design, and the relaxing Chinese music. You’ll find this all in Shanghai Beauty, one of the latest slots 2017 from Microgaming. The symbols are the game logo, the green box, the girl with the fan, the girl with the musical instrument, the golden ingot, the silver ingot, the ship, and A to 9 card icons. 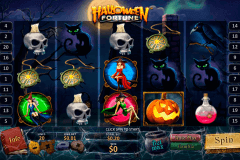 Play video slots online for free at our site and enjoy high-quality gambling. We also offer the Microgaming casinos list for real money slots fans. 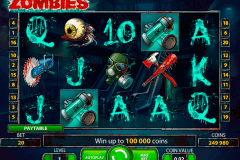 Visit safe online casinos in New Zealand to try this and other amazing slot games for real money.